I am grateful that YOU take the time to read my Wine Tasting Tips every so often. THANK YOU! Holidays bring friends and family together. What about having fun wine tasting? 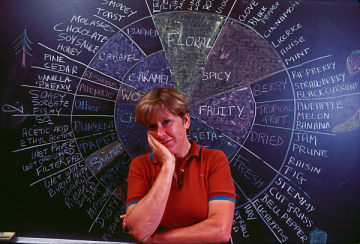 I am passionate about using the Wine Aroma Wheel created by my friend Ann Noble. 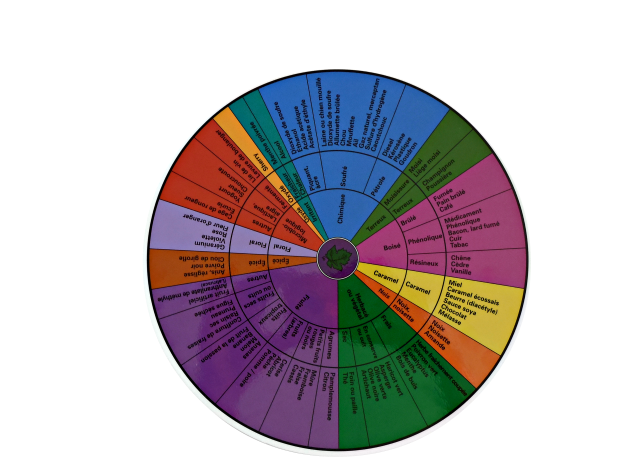 This small laminated disc gathers all the major wine aroma descriptors that you may perceive in table wine or sparkling wine. I also translated the wheel attributes in French. 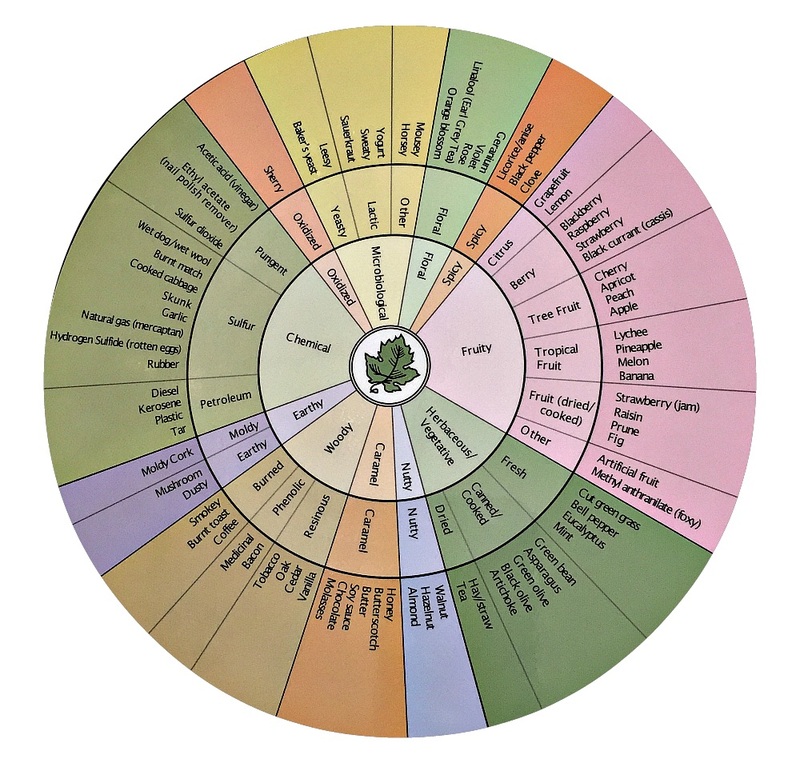 Get the wine aroma wheel at the Special Education Price starting Today until December 31st. Instructions on how to use the wheel are printed on the back, with references to characteristic varietal wine aromas. Translated in French - Disque laminé de couleur (22 cm diamètre). Les instructions pour utiliser la roue des arômes sont imprimées au dos. 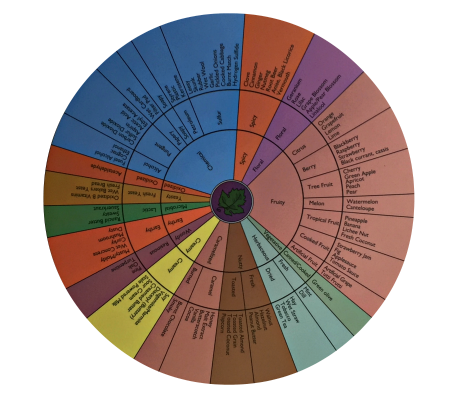 Learn more about the wine aroma wheel story. 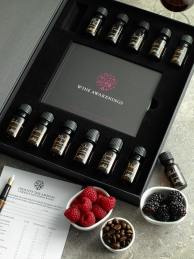 The kits are great complements to learn and challenge your wine tasting skills.